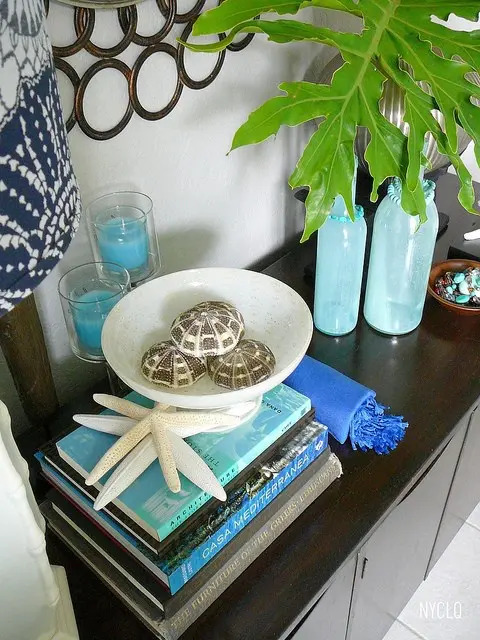 Sea and beach interiors will always inspire, at any season, as sea and beaches are very relaxing and always make you think of holidays. 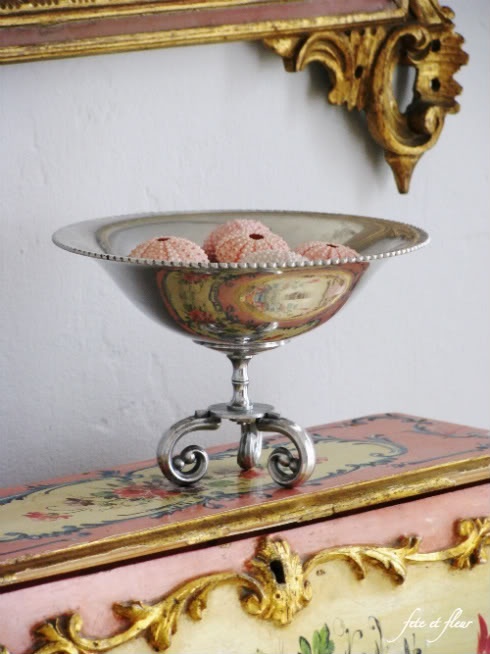 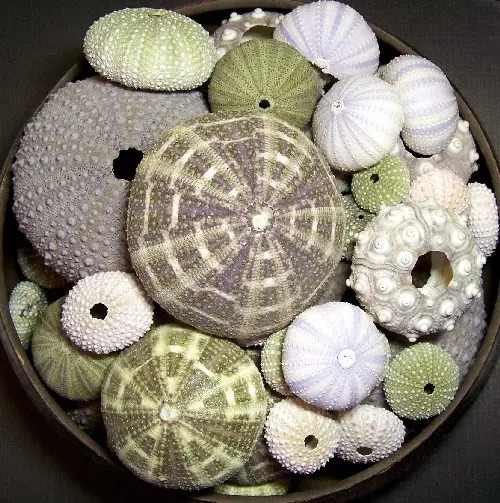 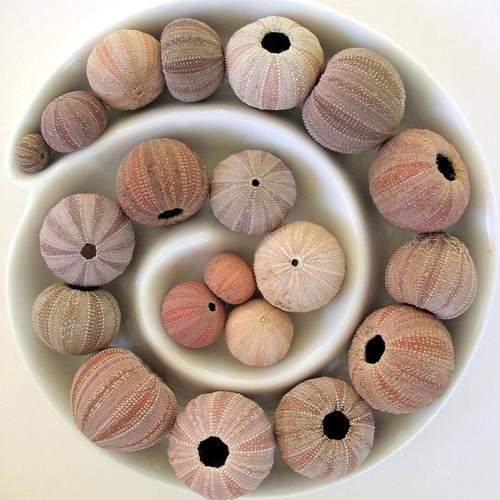 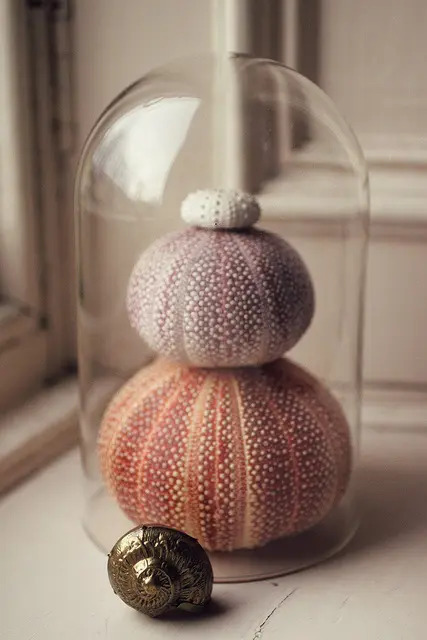 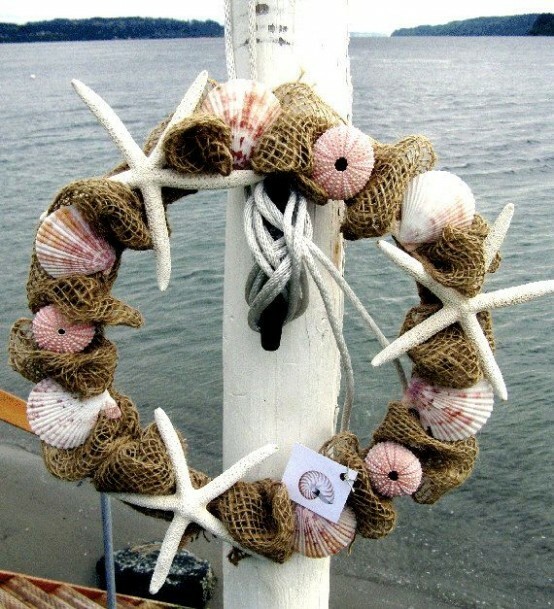 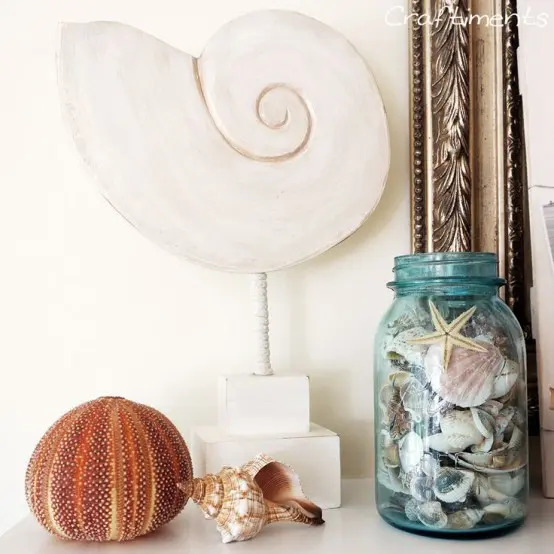 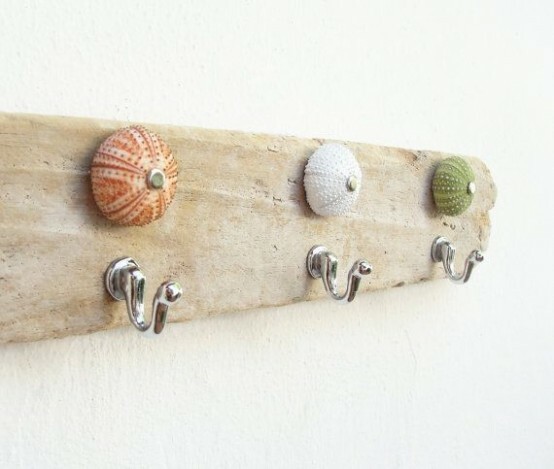 Decorating in such a style can’t do without sea finds, so take your collection of shells, stars and urchins and display them or use in your crafts. 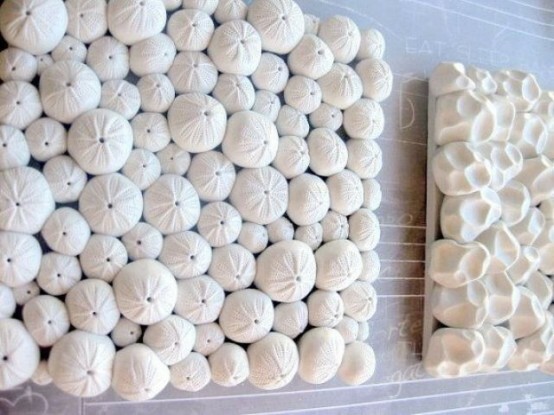 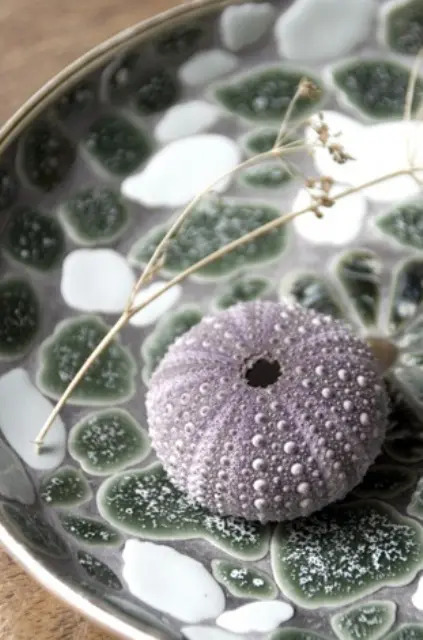 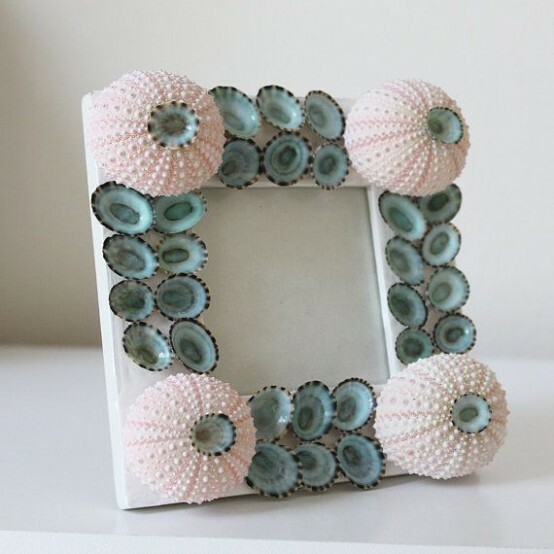 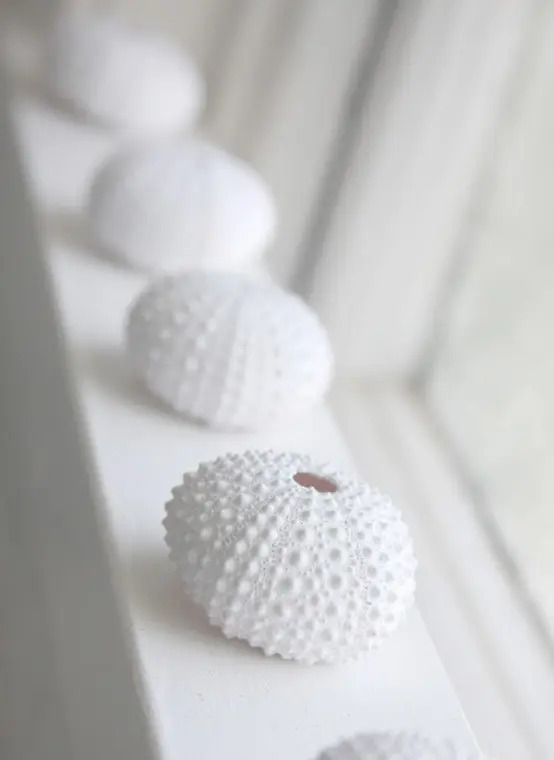 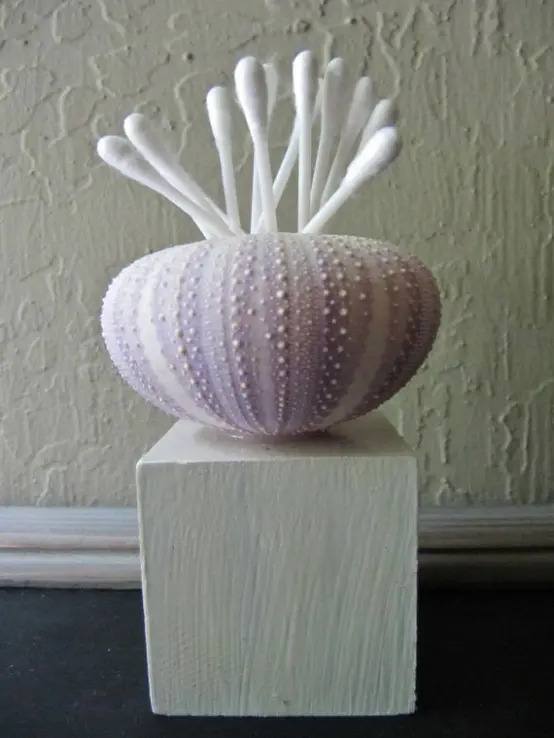 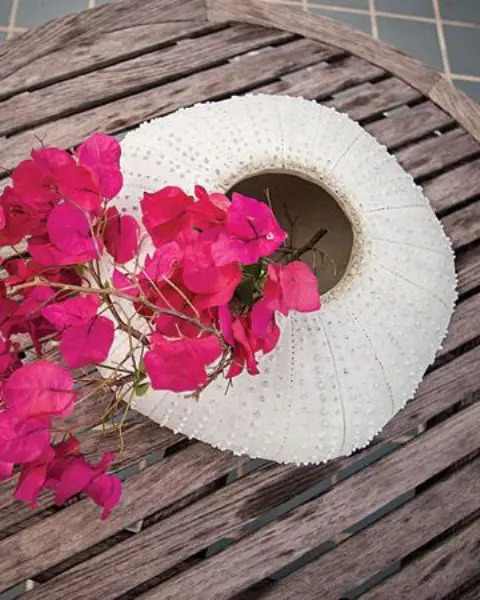 We’ve already told you how to decorate with seashells, and now let’s look at sea urchins. 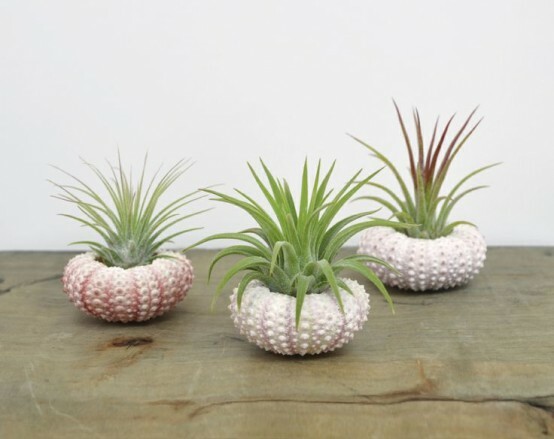 Displaying them in different bowls or just on the windowsills or mantels is simple and looks very natural. 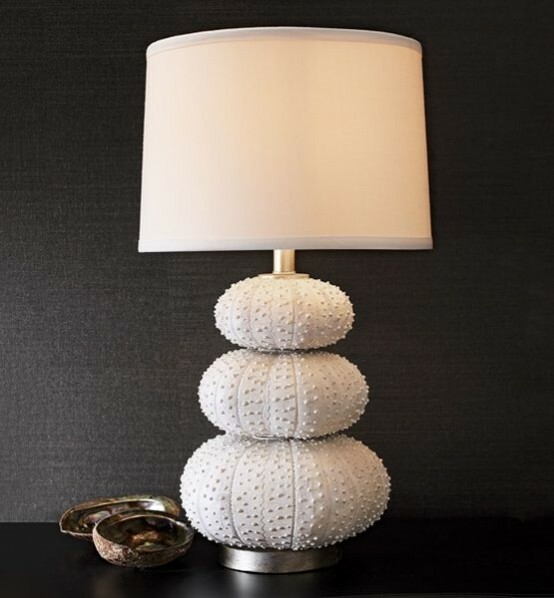 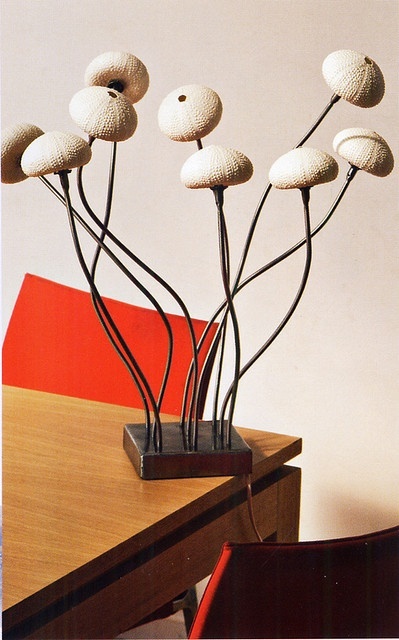 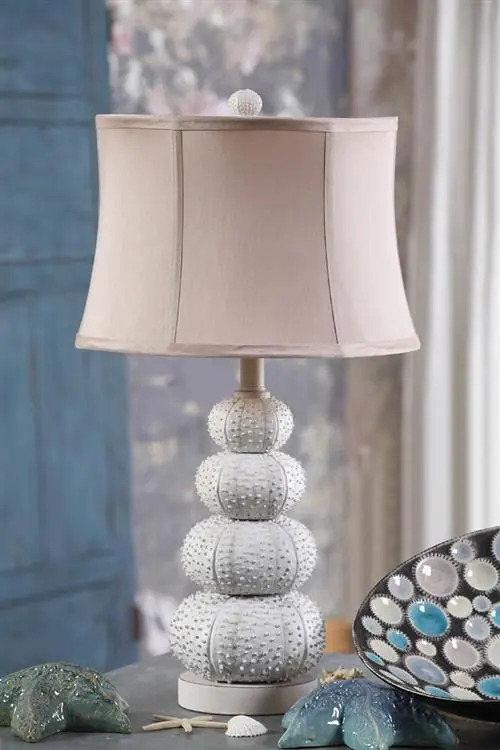 Making a base of sea urchins for a lamp is very original and many interiors would be accentuated with such lights. 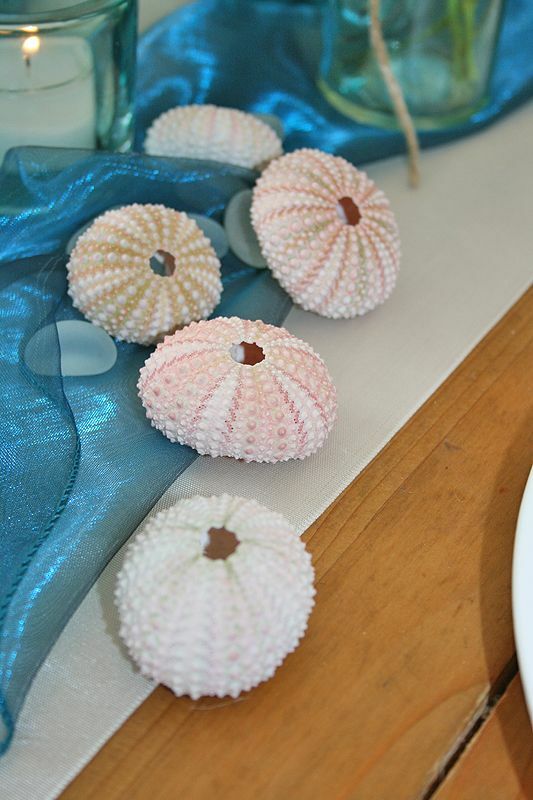 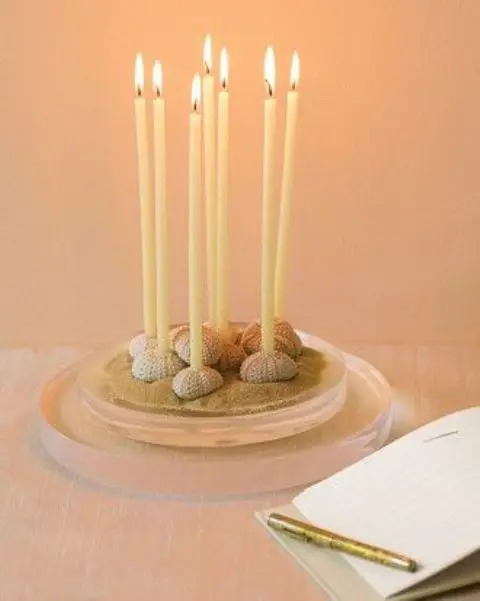 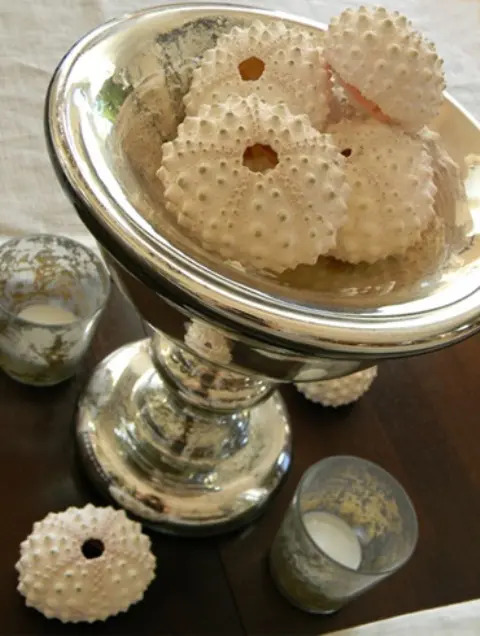 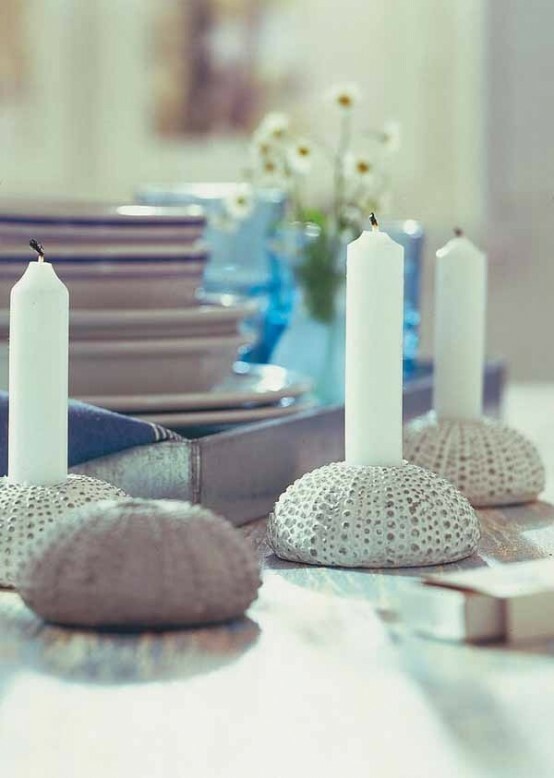 Using urchins as candleholders is a cool idea for décor and especially for a romantic dinner. 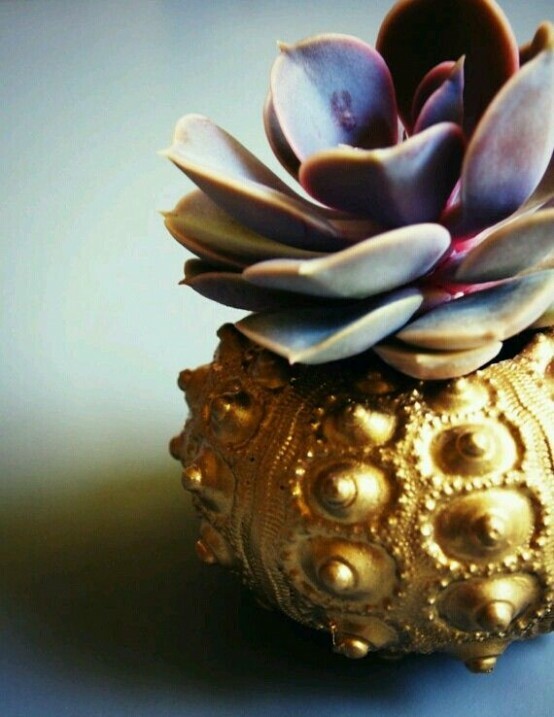 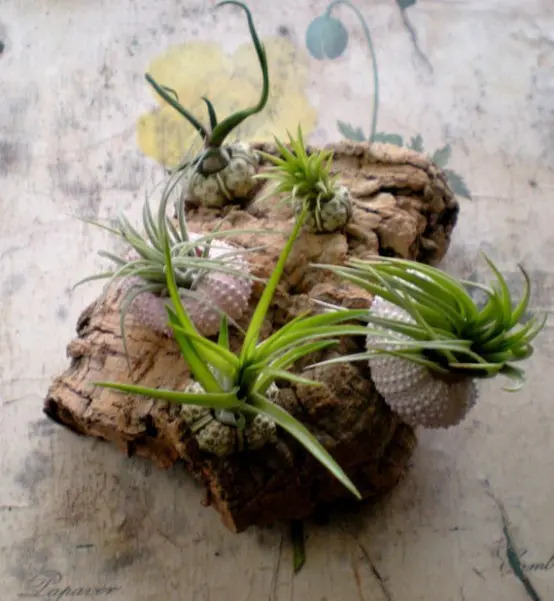 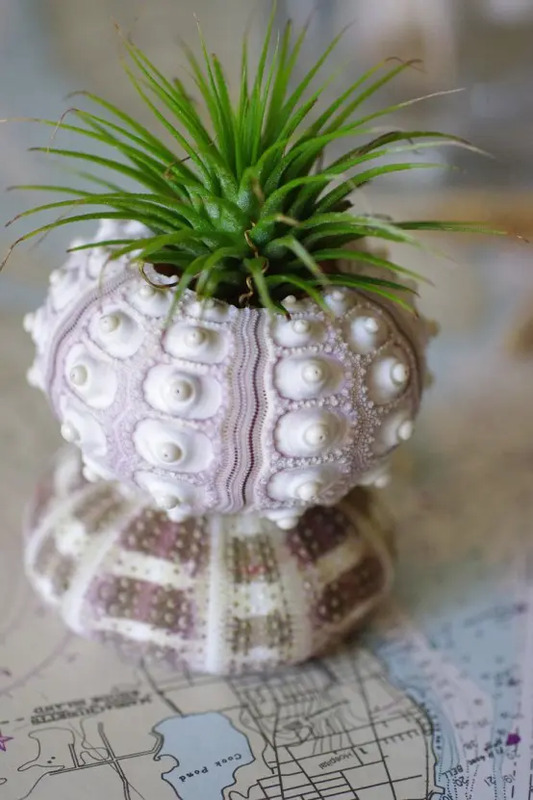 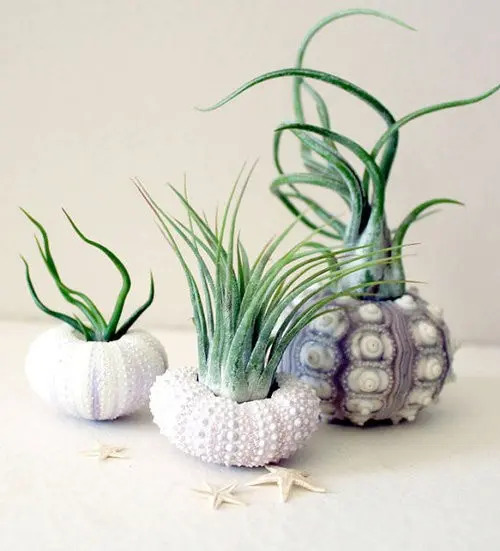 My favorite décor idea with sea urchins is planting succulents or placing air plants inside them – it looks fantastic, you have to try it! 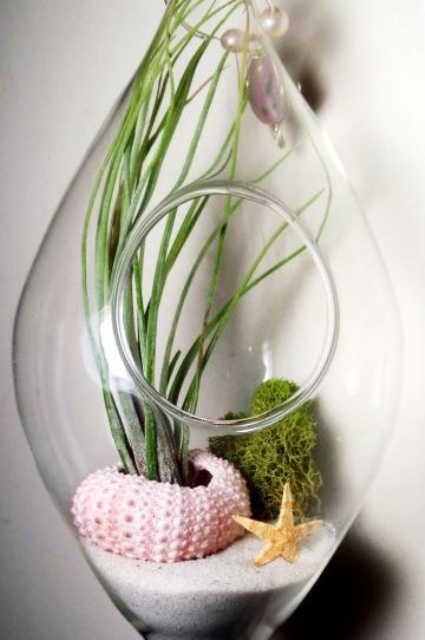 Look at more amazing and fun ideas below and find something for yourself!